I came out of law school making six figures. I was a kindergarten pipeline kid and had been in school for 20 years at that point. Mr. TMG was still in med school at the time, but our household income was more than either of us had ever seen. I’m officially 29 years and 364 days old. I don’t feel much different, but it’s weird to think I’m about to complete my third decade of life. Welcome to my debt payoff update for March 2019! In these updates, I detail our progress on our debt payments for the month and highlight any updates in our financial situation. 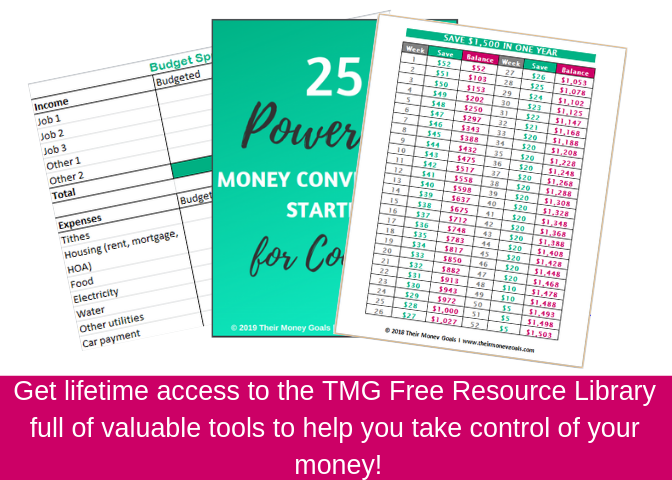 I started this site to hold Mr. TMG and me accountable in our debt payoff journey. I also want to inspire and encourage others who are in debt (especially if you owe six figures like we do) by showing everyone that debt doesn’t have to be forever. Whatever your numbers, I hope you find some inspiration in our story. The dreaded “b” word of personal finance. If you’re like many people, you don’t like budgets. You believe they’re restrictive, and you don’t want to be tied down and not be able to spend your money. Food is most people’s third largest expense, after housing and transportation. The average family spends about $6,000 each year on food. If you can find ways to cut down on food costs, you can free up money you can use for other things. Let’s talk about this trend of people who are relying on credit cards as an emergency fund, rather than saving money. Given the state of America’s finances, this practice is problematic on so many levels. The statistics on debt in America are dire. Welcome to my debt payoff update for February 2019! In these updates, I detail our progress on our debt payments for the month and highlight any updates in our financial situation. The personal finance community often gets a bad rap for glamorizing frugality, which for many is just a way of life. Although frugality is a way of life for some, it’s hardly the norm in our society, as 78% of U.S. households live paycheck to paycheck. It can be easy to write off personal finance advice from people who seem like they don’t know what your life is like. Net worth. It’s a highly celebrated measure of success in Hollywood, but it’s also a huge indicator of us regular folks’ financial well-being. Many people have no idea how to calculate their net worth or even what the term “net worth” means. Never fear, friend. I’m here for you. Let’s look at this net worth thing closer. It’s the value of everything you own minus the total amount of money you owe. Success! Check your email to get your free debt repayment spreadsheet.